Guava Island, Childish Gambino's long-awaited new project, has finally arrived. Hot off a headlining Coachella performance Friday night, Guava Island is the proverbial cherry on top of Donald Glover's wildly successful year as a rapper, following his first Billboard No. 1 with "This Is America" in 2018 and that song's wins for Song of the Year and Record of the Year at the Grammy awards earlier this year—the first rap song to ever win both those prizes. 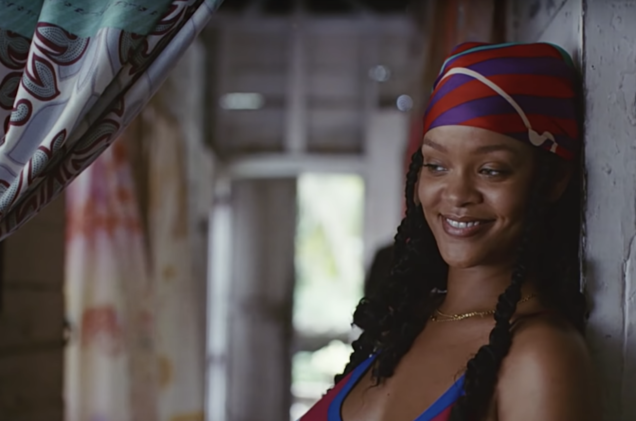 Anticipation for Guava Island was first stoked months in advance with a single photo of Glover and Rihanna on set in Cuba, spurring grandiose speculation as to what the project would entail—especially since it's tied to Glover's retirement of the Childish Gambino project. 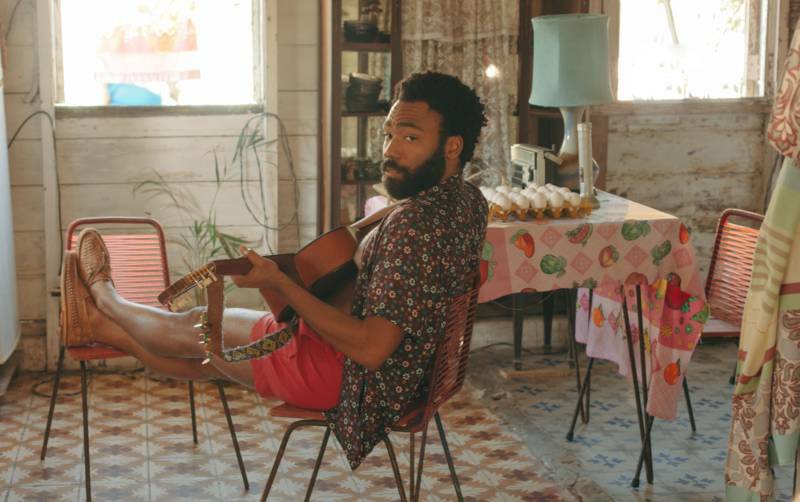 Longtime collaborator Hiro Murai directed (Murai is also the director of the "This Is America" video and many episodes of Glover's TV series Atlanta) and the screenplay was written by Stephen Glover, Donald's brother and a writer on Atlanta. Almost as if to curtail the expectations, the film itself is a modestly stunning—and at times unnerving—extended music video, shot in 4:3 aspect ratio, about music's power to unite in the face of tyranny and greed. It features three new songs, "Die With You," "Time" and the flamenco-tinged "Saturday," as well as renditions of the previously released "Summertime Magic," "Feels Like Summer" and notably, a sequence showcasing "This Is America" that recalls Murai's music video from last year. A quick summary of the plot: Glover stars as Deni Maroon, a Purple Rain-esque folk hero and local celebrity on the island—exploited for its natural splendor and transformed into a factory spinning silk run by a single despot, played by Nonso Anozie. Rihanna plays his partner, Kofi Novia. The pair meets in a gorgeous animated backstory at the start of the film. Deni's set on uniting the island with a music festival, but it comes at a cost. Black Panther's Letitia Wright also plays a role. Guava Island is available only to Amazon Prime members. It also streamed once on YouTube's Coachella live stream last weekend.